Ambien. It's a helluva drug. Kontakt is a software sample player (a computer musical instrument, if you will). It can be loaded with footstep sounds. Which works amazingly well. 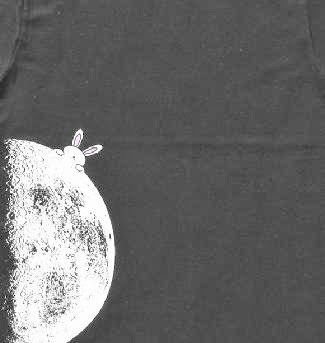 I wish I had that rabbit on the moon t-shirt. But it doesn't seem to exist. The Mei Xin was just an idea for a character. I wish I understood Kontakt better. I should watch some tutorial videos on it. Get those free footsteps. They're really nice.